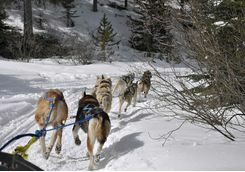 Will, Abigail and Ollie are here to help give you the inside track. 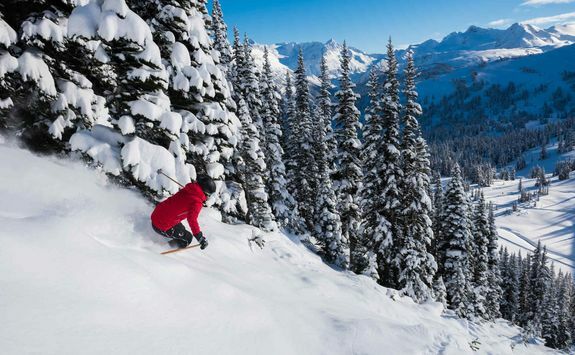 Winter sports worshippers rejoice. 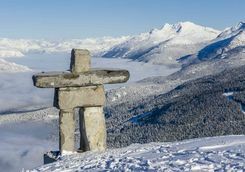 This adrenaline fuelled eleven-day tour will take you from fabulous Vancouver to Whistler for a high altitude adventure filled with fabulous ski runs, fondue feasts, dog sled tours and majestic views that remind you why Canada puts the great in the great outdoors. 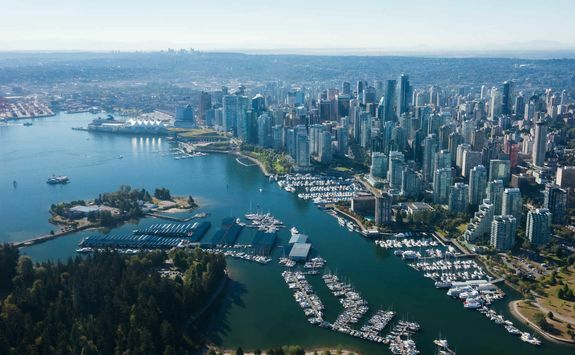 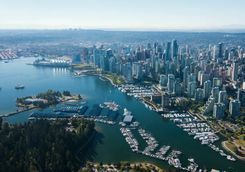 Your direct flight to Vancouver leaves London in the late afternoon and takes nine-and-a-half-hours, so out that battered copy of War and Peace, or polish off that must-watch box set. 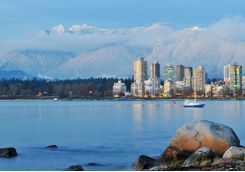 You touch down in Vancouver in the early evening, where you will be met and transferred to your hotel for dinner and drinks before some shut eye. 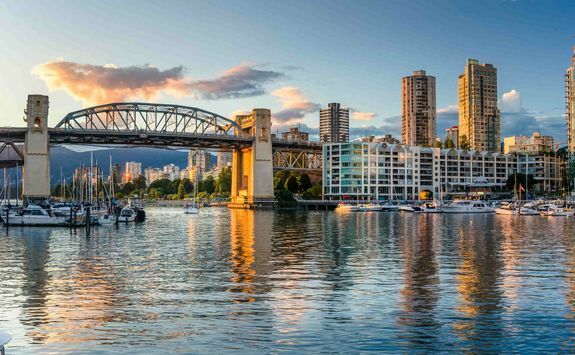 Ahoy there beer lovers, your first day exploring the coastal charm of Vancouver is well served with a bespoke brewery tour of the city. 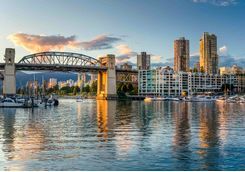 Vancouver - consistently voted one of the world's most livable cities -has several bright and lively neighborhoods that are wonderfully walkable, punctuated with plenty of hipster bolt holes and indie bars. 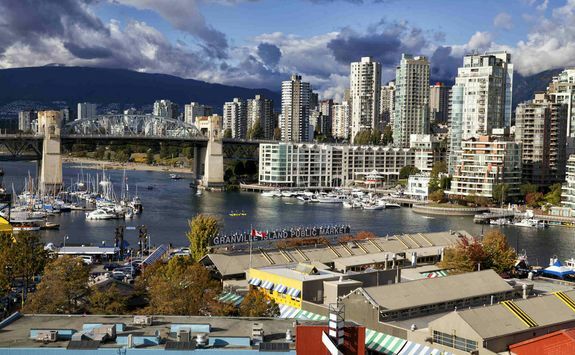 Hit up three of the finest craft beer joints in the Brewery Creek district. 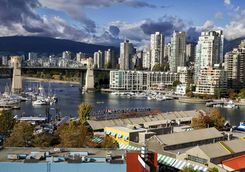 Afterwards, take a (wobbly) walk around the city, taking in the boutiques and markets on Granville Island and wandering along the seawall of Stanley Park. 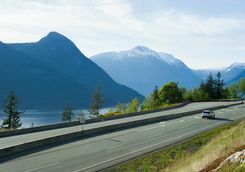 Pick up the keys to your rental car and feel the freedom of the open road as you hit the famed Sea to Sky Highway to Whistler. 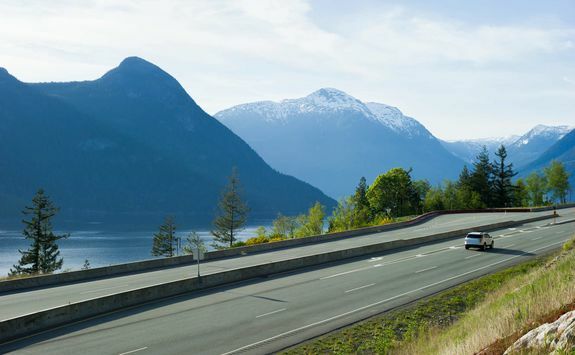 Weave along the shoreline of the Howe Sound and gulp down the fresh ocean air. 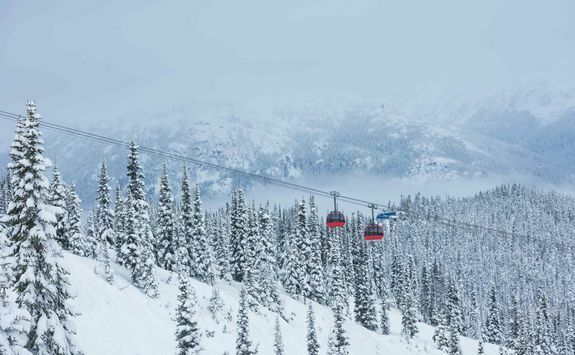 Cut through ancient rainforests and head up the mountain pass. 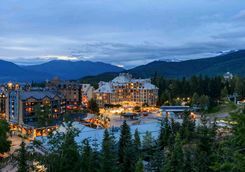 After arriving at Whistler, you can settle in to the comfort of your hotel with dinner and drinks. 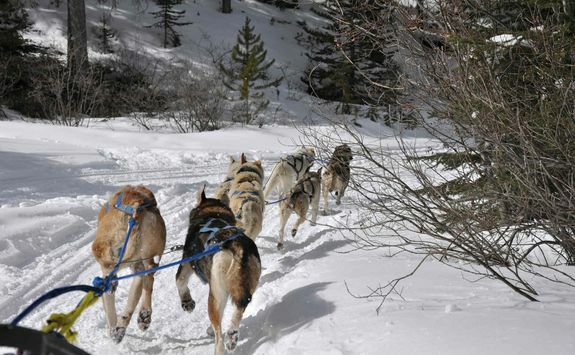 Embrace the mythology of the mountain today as you take a dog sledding tour in the Callaghan Valley. 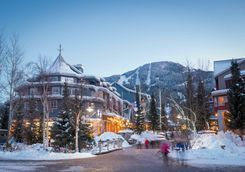 As you mush beneath the boughs of gnarled old trees and across open winter prairies headed by your team of eager dogs, you'll be seeing Canada at its spell-binding best. 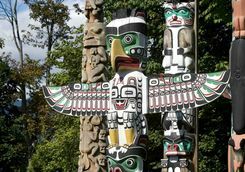 Then stop by a trapper cabin beside Totem Pole Lake and listen to fables about the pioneering fur-trappers of old. 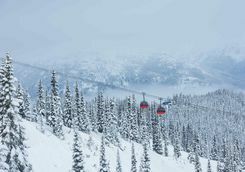 With no less than fifty runs cutting across the white powder paradise of Whistler and Blackcomb (Whistler's twin mountain), today is the day to take to the piste. 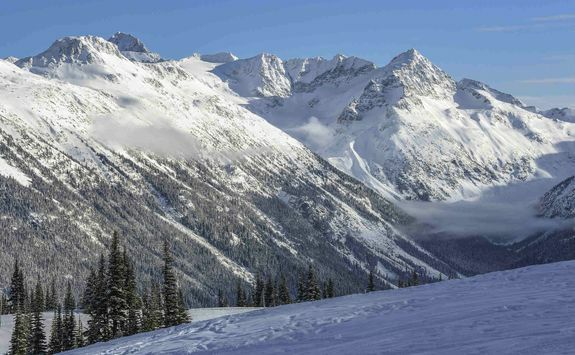 Alpine bowls, dazzling glaciers, endless marked trails to tempt all levels of skier make for a memorable day tearing up the slopes. 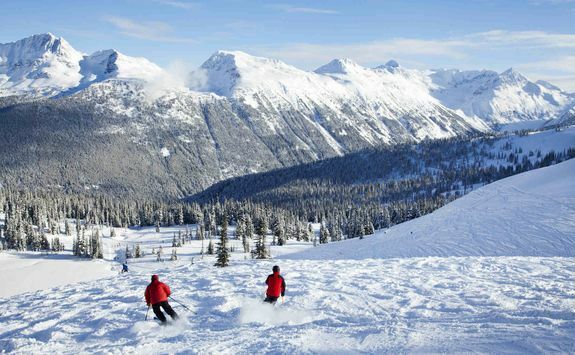 For those who don't ski, there are plenty of winter activities to choose from instead. 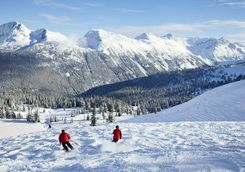 Race along snow-clad forest trails on your own snowmobile before stopping for a fondue supper paired with wine from one of Vancouver many under-rated vineyards. 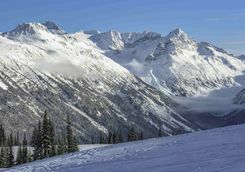 Alternatively, take a snow safari to explore the secret ice-clad mountain passes or snowshoe along an old trapper's pass. 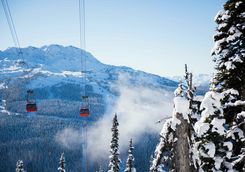 As Whistler and Blackcomb share a staggering 8,000 skiable acres, you are sure to find the trails, passes and places to suit. 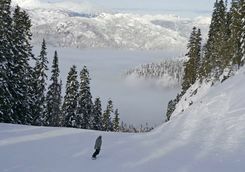 The resort is also home to the second-longest run (measured by vertical drop) in North America - a mere 5,200ft from top to bottom. 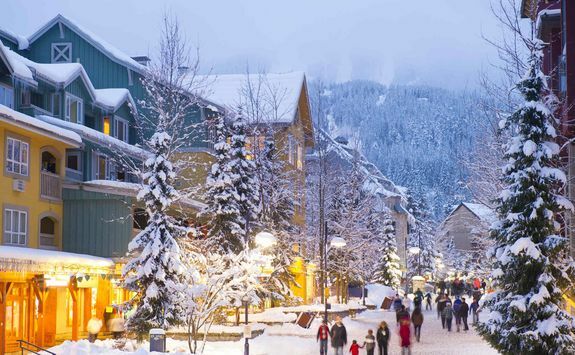 After burning all that energy off on the slopes, head to Whistler Village for pearly oysters and killer cocktails. 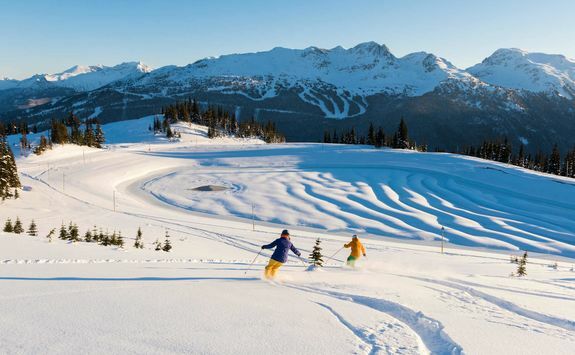 Those looking to give their confidence a beautiful boost on the slopes or to push their boundaries can make full use of the Whistler Ski School. 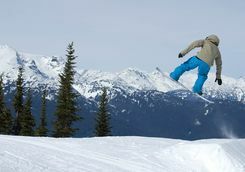 Dedicated instructors, one to one action, and specialisation lessons that can teach you how to turn, race and freestyle ride can change the way you embrace the mountain. 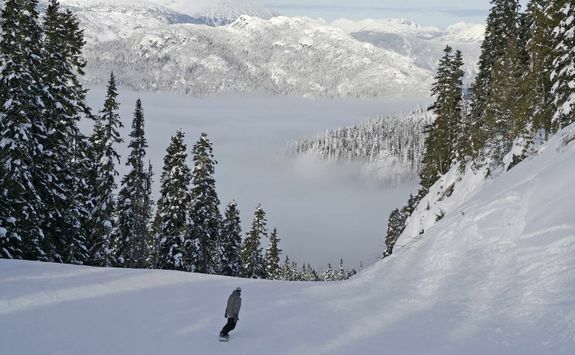 Of course, those who simply want to fill their day with more powder play have plenty to choose from. 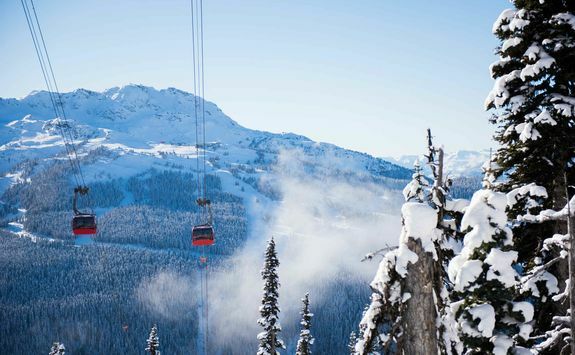 Today you can keep the ski energy high or take a day away from the slopes and soak up some of the wonderful vibes of Whistler. 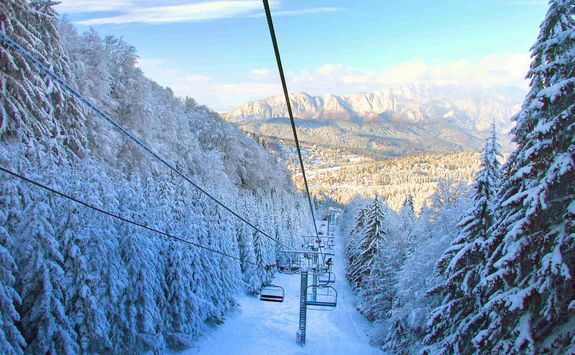 Ride the record-breaking Peak 2 Peak gondola for breathtaking photo opportunities across the deep cut chasm of the valley. 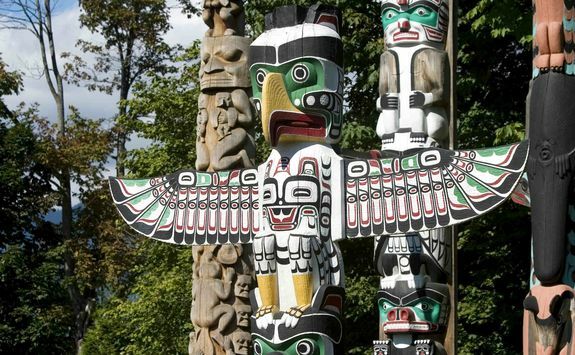 Visit the fascinating First Nations Museum and fall in love with the handmade souvenirs from the gift shop. 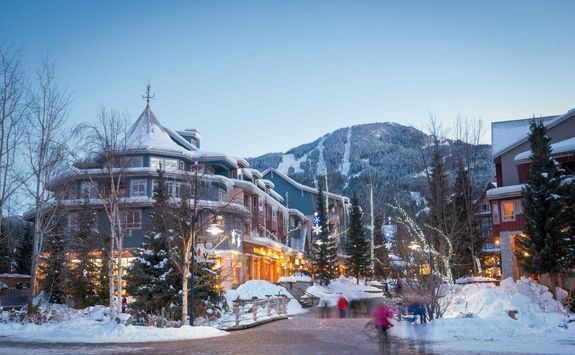 Finish a gloriously relaxing day with a celebrated fondue dinner or fresh fish feast at the famed Sushi Village. 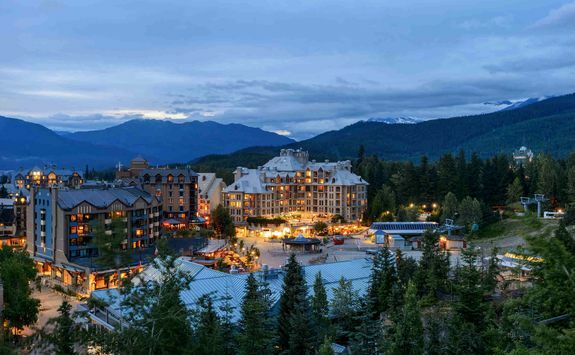 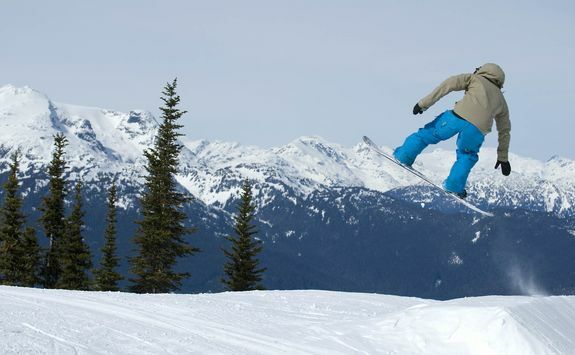 Whistler's slopes are a snowboarder's dream. 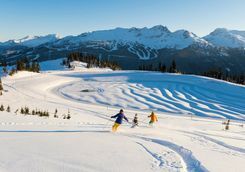 Brimming with professionals nailing the bowls and carving new trails - you can have a whole host of fun seeking out the freshest powder dumps. 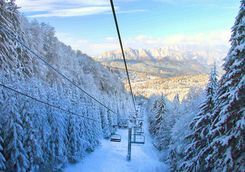 Pros can head to the Solar Coaster upper level park whereas those seeking something a little more fun and playful can take the Peak 2 Peak gondola to enjoy a series of lush little jumps. 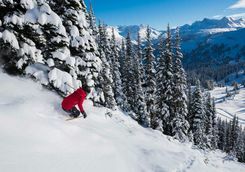 With your departure date on the horizon, it may be a good time to iron out those adrenaline sport kinks and soothe tired muscles at the local spa. 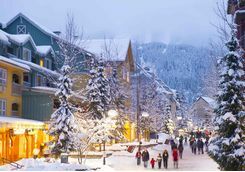 You can treat yourself to a dip in the bubbling jacuzzi, a muscle melting sauna, and a deep tissue massage to rejuvenate the soul. 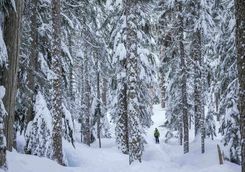 This morning, you can take a snowshoe tour of the secrets of the forest. 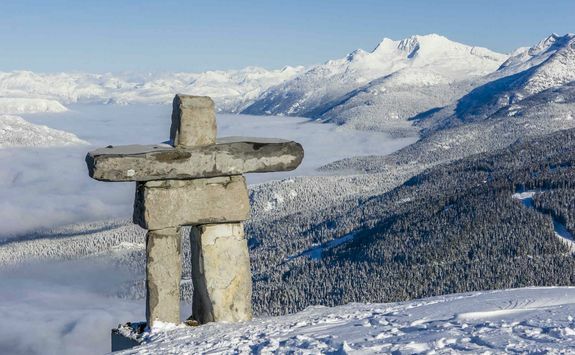 As you hike the Trappers Pass, you can learn all about the evocative history of the people of these parts. 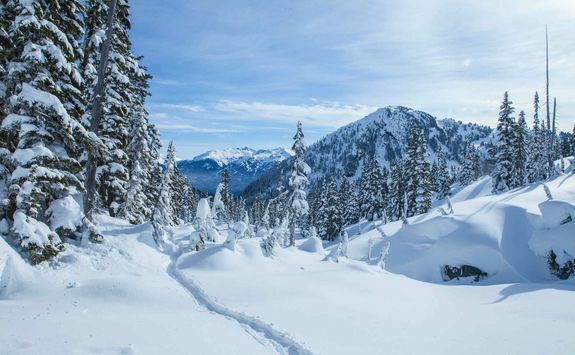 Sip healing teas plucked from the rare flora that grows along the medicine trail and lose yourself in the folklore of the ancient forests of the Callaghan Valley. 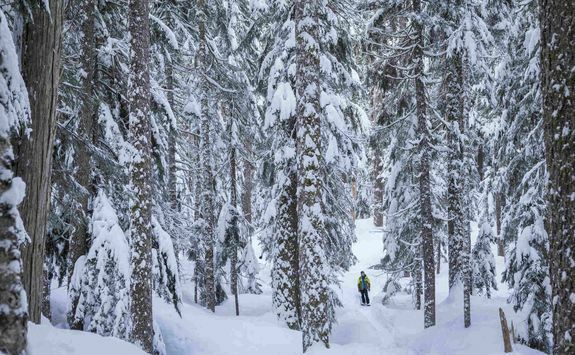 Pink cheeked after your morning adventure it's time to leave the forests behind. 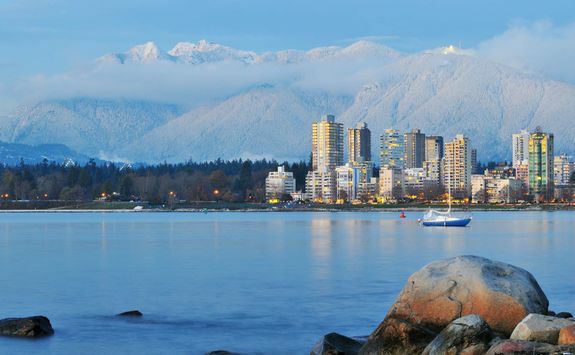 Take a transfer back to Vancouver in time to board your evening overnight flight back home. 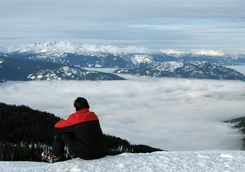 The flight takes nine-and-a-quarter-hours. 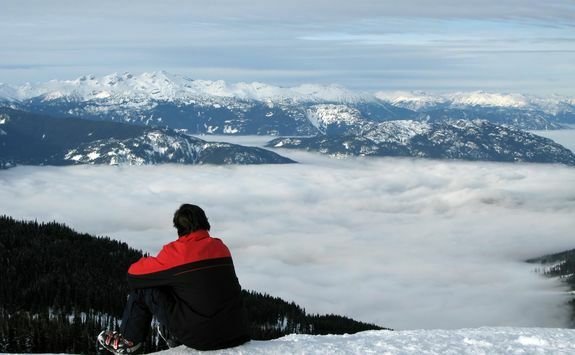 Your flight arrives back into London at around lunchtime. 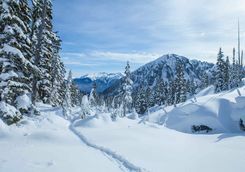 Will, Abigail and Ollie are our experts for this itinerary and as seasoned travellers they have the inside track on the most memorable adventures.